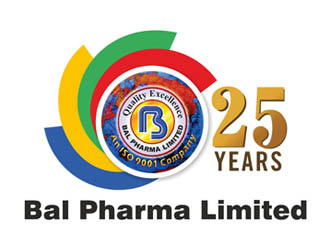 Bal Pharma is a leading Indian Pharmaceutical Company with 25 years of experience, specialized in Prescription Drugs, Generic & OTC Products, Intravenous Infusion and Bulk Actives. We strive hard to improve the quality of life for patients by providing them products that are Safe, Effective, High Quality and Affordable. Bal Pharma’s API and FDF are produced at world class manufacturing facilities. APIs are largely exported to Europe, Far East, Latin America, Africa, Middle East and other World markets. The FDF are exported to Semi-Regulated, Non-Regulated market and are now foraying to regulated market. We are also one of the strong contenders for World Tender Business.